There is a way to go for Mongolia’s mining sector to become truly accountable and benefit all its people. Nevertheless, what I saw on this trip was impressive indeed: a shining example of what committed, effective and organised civil society can do – and will keep doing. Located about 35km from the capital, Ulaan Bataar, a visit to Nalaikh mine brings into focus the singular history of mining in Mongolia, and its critical importance to the country’s trajectory. Nalaikh is where Mongolia’s industrial mining was born in the early 1920s, and paved the way for the resource-based economy that accounts for much of Mongolia’s development to date. Coal from Nalaikh fed Mongolia’s (and mainly Ulan Bataar’s) industrialisation, until state-led mining was abandoned in the early 1990s, following the collapse of the Soviet Union. Amid the derelict mine’s increasingly crumbling structures, unemployed miners continued doing what they could to survive. These so-called ‘ninja’ miners descended the mine shafts to work with artisanal tools, and still do so today. That activity shows no sign of stopping: two-thirds of Nalaikh’s coal deposits remain, and the ninja miners work in unregulated, unprotected and dire conditions. On average, 15 to 20 people die in its shafts every year. Today, artisanal gold mining is much more common than coal. It’s estimated that 80% of the gold purchased by Mongolia’s Central Bank is produced by such small scale mining. And besides supporting these livelihoods, the mining sector (including large-scale industrial mining, which dwarves the artisanal kind) accounted for 20% of Mongolia’s GDP, 18% of government revenue and a staggering 86% of exports in 2016. In other words, if Mongolia gets mining right, it could lift the entire population, boost its economy and raise development standards. In the meantime, for example, Mongolia’s health spending relies on international aid for about a third of its budget, and the image of clandestine miners risking their lives in Nalaikh every day stands as an unfortunate symbol of a sector which neglects its people. 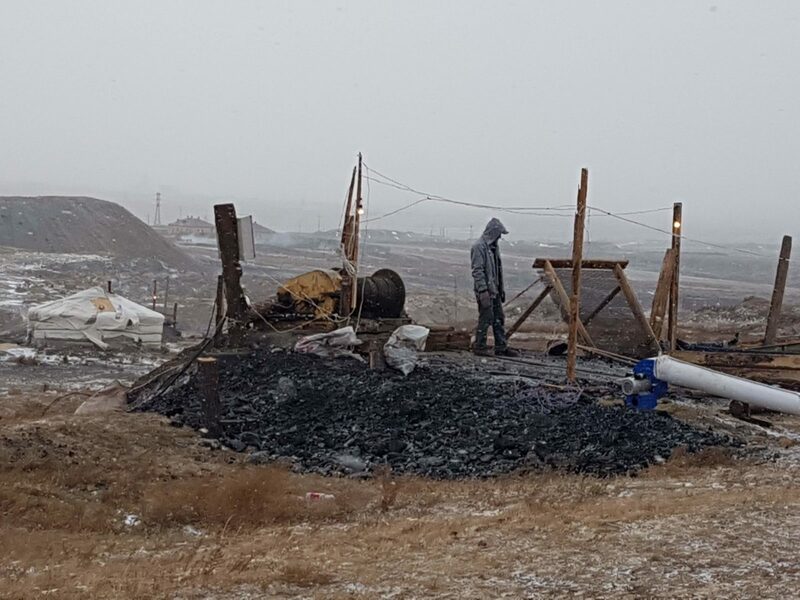 Getting mining right, and doing right by the people of Mongolia – that’s exactly what the local Publish What You Pay (PWYP) coalition has been working towards for the past ten years. And the results are clear to see. Thanks largely to civil society’s push, Mongolia was one of the first countries to commit to the Extractive Industries Transparency Initiative (EITI) in 2006. It is now doing the hard work of implementing the required financial, environmental and social disclosures required by EITI throughout its line ministries. While the government has yet to take the essential step of making these disclosures mandatory by law, the amount of information generation by its EITI commitment is positive so far: the most recent EITI report covered 230 extractive companies operating in Mongolia, or 98% of the mining sector’s economic output for the country. Companies who fail to report are subject to a fine. This year, more than 20 companies paid the penalty. A closer look at how mining contracts are licensed is a good way to understand the current battle lines in Mongolia’s continued struggle to get mining right. To date, 240 mining contracts have been publicly disclosed – on paper, a promising indicator of transparency – but in practice the licensing process remains plagued with questionable transactions. PWYP Mongolia actively monitors existing and new licences – these are available on an award-winning database – to identify wrongdoing. Recently, they won a few cases where the license laws were breached, leading to 40 mining license being revoked. It is no small task to monitor the sale of licenses: there are over 3700 active mining licenses and many more ‘inactive’, making the mining sector highly fragmented and leaving lots of room for shady deals. For that reason, the PWYP coalition is also pushing for stronger legislation on ‘beneficial ownership’ – to gain greater clarity on who really owns, and profits from, mining concessions. Indeed, despite this constellation of licenses and names of companies that hold them, the sector is rumoured to be controlled by only a few dozen powerful families. Tellingly, civil society pushes for a public registry of beneficial owners have been met by a smear campaign in the elite-controlled media. So while civil society keeps pushing, they come up against the usual mix of economic ‘gold rush’ pressures and clear opponents to transparency, accountability and inclusiveness. As the next EITI board meeting begins, my thoughts are with colleagues – in Mongolia and elsewhere – who have so much to gain from its success: for the ninja miners of Nalaikh, for the people of Mongolia who could benefit so much more, and for the better world we could build with greater transparency in the extractive industries and the trillions of dollar it generates. By their side, we keep pushing.